RIA Novosti has more coverage of Navy CINC Vysotskiy’s carrier comments from yesterday. 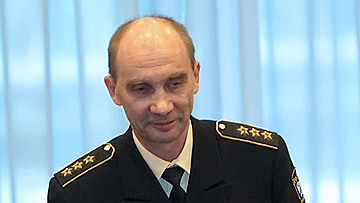 Vysotskiy said there’s a plan to build and launch an aircraft carrier by 2020, and the technical proposal for it has to be developed and ready by the end of 2010. He said experimental-design work (OKR) was already under way. Vysotskiy noted that a Federal Goal Program (FTsP) was needed to construct an aircraft carrier, because financing to do it in the State Defense Order (GOZ) would be very complex. This entry was posted in Defense Industry, Naval Modernization, Navy and tagged Aircraft Carriers, FTsP, Gorshkov, GOZ, OKR, Vladimir Masorin, Vladimir Vysotskiy. Bookmark the permalink.